Please help us save lives with a donation of any amount by Monday at 5 p.m.! Major Victory: Komen defunds Planned Parenthood & reverses support of ESCR! Major Victory: Komen defunds Planned Parenthood and reverses support of ESCR! The tide is turning! On Tuesday, it was announced through news outlets across the country that Susan G. Komen for the Cure, the largest global funder of breast cancer research, has restructured its grant criteria in a way that will effectively defund* abortion giant Planned Parenthood and reversed its former position in support of embryonic stem cell research (ESCR). This amazing news is proof positive that pro-life voices are being heard! Planned Parenthood is reeling, and unfortunately, Komen has reportedly already received more than 2000 negative e-mails about its decision. Komen needs to hear from pro-life people, like yourself, who will applaud these decisions. While there are other issues we will continue to encourage Komen to address (e.g., acknowledging the abortion / breast cancer link), right now they should be affirmed for these major policy reversals. 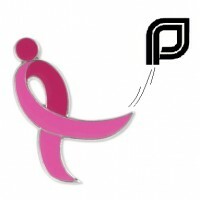 today to say: "Thank you for defunding Planned Parenthood and reversing your support of embryonic stem cell research." Expressions of thanks will help to ensure more positive changes at Komen in the future. CPLC Executive Director Karen Garnett interviewed in today's Dallas Morning News. 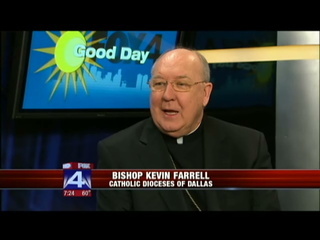 More information and articles available at prolifedallas.org/abclink. *Note: Komen reportedly has existing grant contracts with Planned Parenthood that will last for the next 12 months, and then no more grants will be provided. Have you ever wondered how our faith applies to today's major challenges and issues? Join us tonight to hear from Bishop Edward Burns of Juneau, Alaska and Karen Garnett of the CPLC. And save the date for Part 3 on Feb. 20 at St. Mark in Plano, featuring Jennifer Carr Allmon of the Texas Catholic Conference.
. Sponsored by STOPP of Dallas. Note: Other participating organizations may use graphic signs at this demonstration. Have you contacted your representatives about supporting the Respect for Rights of Conscience Act? If not, please click here. We must make our voices heard! Visit prolifedallas.org/conscience for more info. Kristan Hawkins is the dynamic, under-30 mom of two at the helm of Students for Life of America (SFLA). . . . Hawkins talks about the students, the children, and envisioning a world without abortion in an interview with National Review Online’s Kathryn Jean Lopez. . . . .
"I’ve spoken to far too many pro-lifers and Christians who are pro-life but don’t think abortion will ever end. They are right to a certain extent — there will always be abortions — but they don’t always have to be legal. How can you work in a movement when you don’t believe that what you are working for will ever happen? I think we can see from the victories the pro-life movement had in 2011, despite the obstacles here in Washington, that abolition of abortion in our lifetime can actually happen. So how do you envision a world without abortion? Think about a society in which all life is treated as a precious gift." Read entire interview.